in chart settings, when i set the Bar Period Type to "trades per bar" and then set the # to something small like "2" (2 trades per bar), my NumberBars chart has lots of empty space. 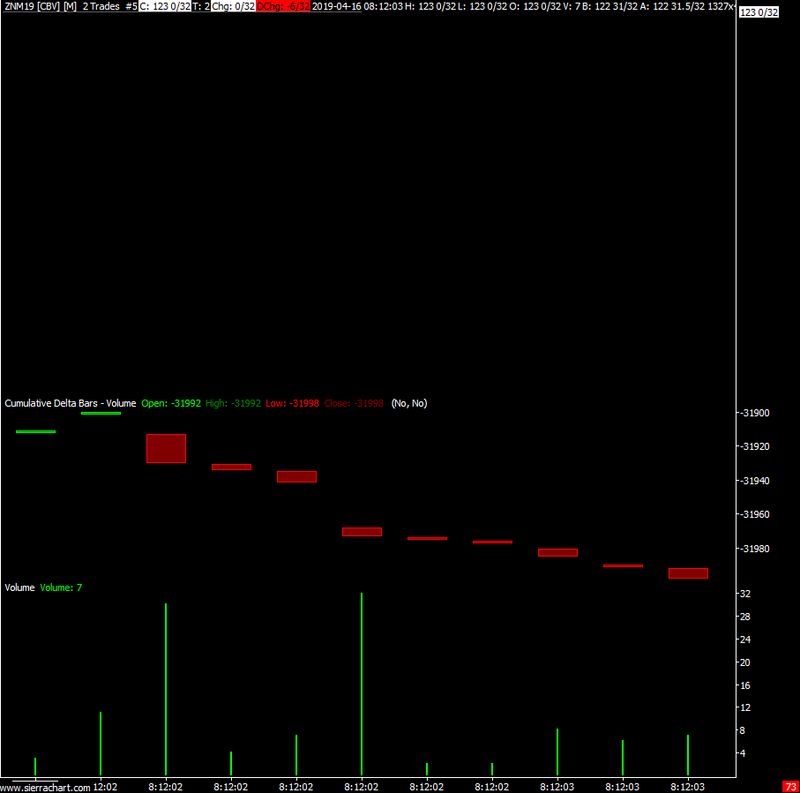 However, for this chart type, i should only see an entry when there is a trade (minimum volume threshold is set to zero) and that volume should show up as a cell with the volume traded at the price traded. I have added the volume study to my chart....which seems to show that volume is trading, but for portions of the chart, the Number bars section of the chart is empty? nope, all those items look fine. any other ideas? it appears this only happens sometimes. i can find parts of the chart where i can see the data (volume traded) and then right next to it are parts where the number bars study is blank. 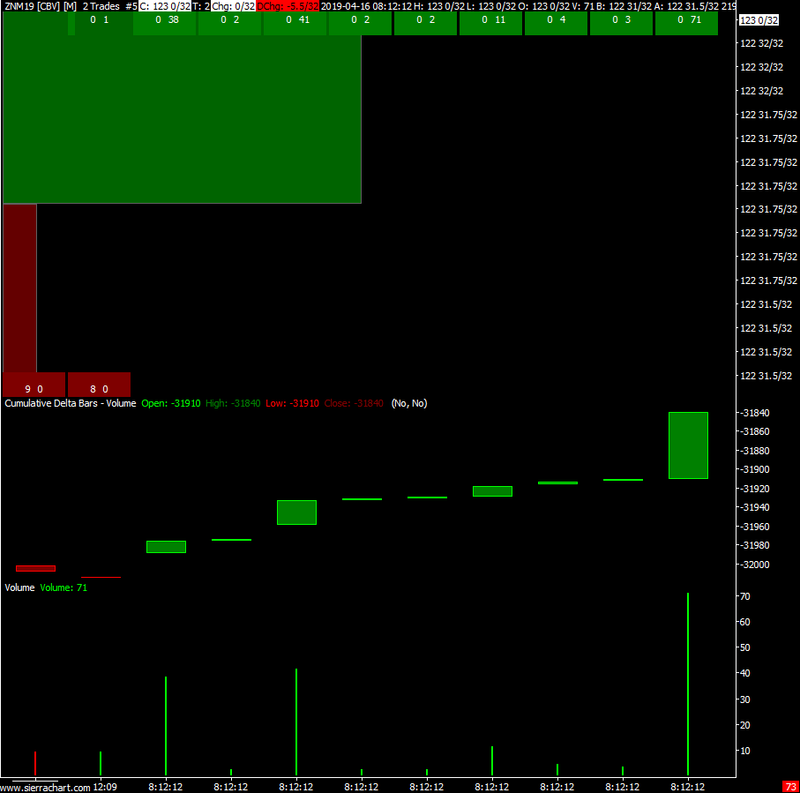 it looks like when only 1 price traded in the time window displayed, that is when the number bars study is going blank. thoughts? You are exactly correct. When there is only one traded price for the bars that are displayed, the Automatic scaling is not handling it correctly. We will look into fixing this, but in the meantime if you set your scale to a Constant Range, then you will not have this problem. This will be improved upon in the next release.